ABT took her treatment the weaker sport 3-series Cabriolet from the Audi range, and that is S3 Cabriolet. ABT made it tuning package to S3 Cabriolet with which already top speed is reached 265 km/h (165 MPH). 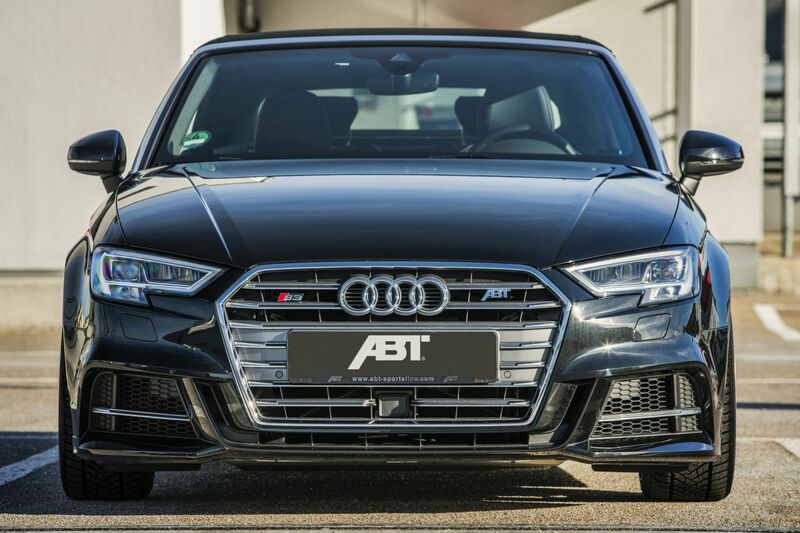 Thanks to extra force to ABT Power S, which increases performance for 400 hp (294 kW) and peak torque 500 Nm. With greater force the standard sprint goes from zero to one hundred in just 4.6 seconds. To achieve this impressive result, the ABT's not only run with their custom designed control unit, but also a sport catalyst with metal cells. 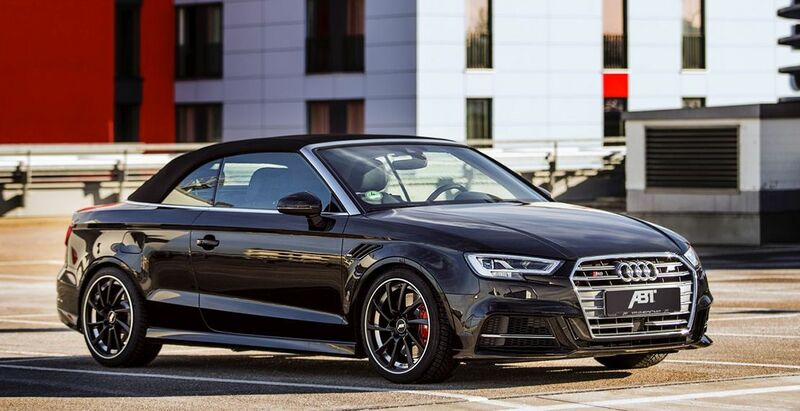 Standard S3 Cabriolet series capacity is 310 HP / 228 kW, which an HP plus of nearly 30 percent is achieved, with the maximum torque increasing by an impressive 100 Nm. The another ABT tuning pack an alternative, those who prefer something not so powerful, can select the slightly less expensive performance package ABT Power, that is also based on the ABT Engine Control, but is supplied without the sport catalyst. The lower performance enhancing set is also available, which the ABT Engine Control increasing performance at lower prices. With 370 HP / 272 kW and 480 Nm the effect is more than obvious. The two "infernal machines" are off to a stylish start with the optional Start-Stop switch button with the illuminated ABT logo. Next to power they also improve on suspensions, with the ABT sport anti-roll bars for the front and rear axles. Audi S3 Cabriolet more than light it gives light for passengers and much breezy so giving you a greater sense of freedom for driver and passengers in the stylishly refined S3 Cabrio. Of the ABT supply receive the ABT fender inserts have integrated air intakes and give the Audi an even more racy appearance. The alloy wheels offered by ABT not only look cool but also come without the additional wind in the wheel housing No matter whether CR, DR or ER-C. Sizes from 18 to 20 inch are available and there are different finishes to choose from depending on the design. The perfect look even more details with the special door entry lighting, which projects the ABT logo on the floor when getting into the car.